Personalise your scorecards and see all your marketing activity at a glance. 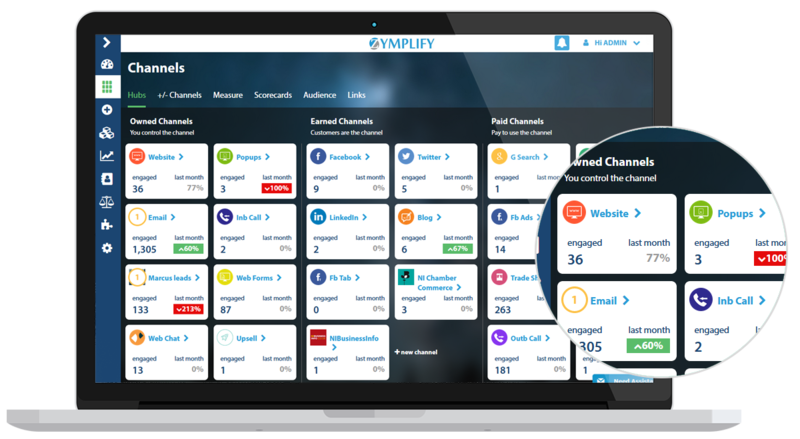 One-stop view of all your channel activity and engagement. 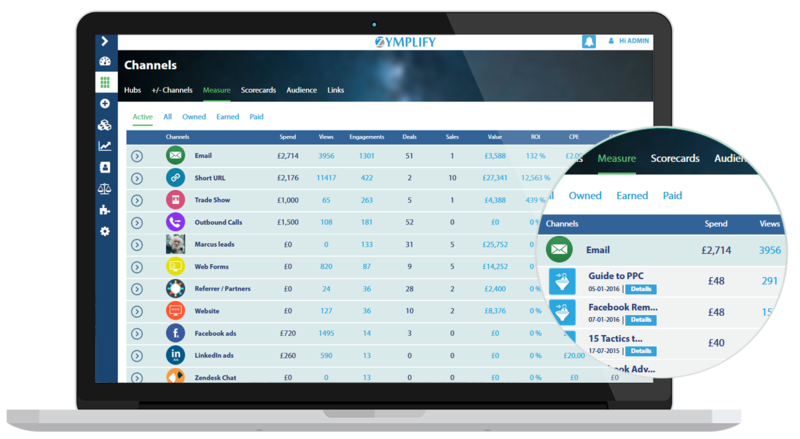 At a glance, see how your activity is performing with the visualisation of your channel data all in one place. Take the one stop channel view to the next level and customise it to suit your needs. Customise individual widgets and graphs that you'd like to keep an eye on, and build the scorecard to suit your audience. Save separate dashboards for relevant activity, channel or audiences. 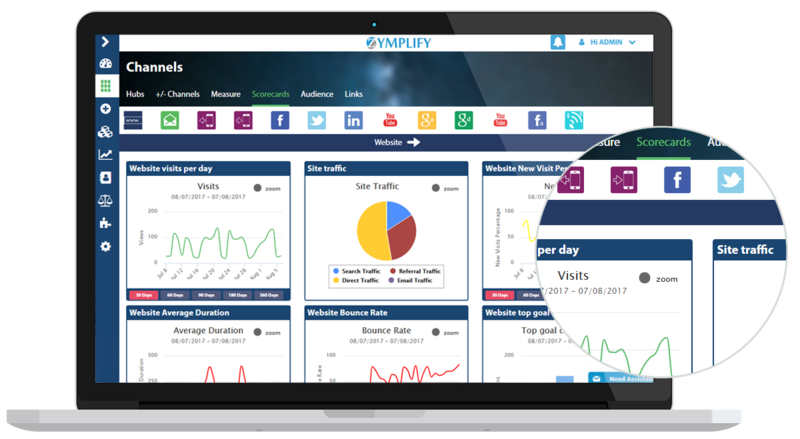 A sheet full of numbers and data can be hard to digest, so Zymplify have made it easy to comprehend by incorporating your data into charts. At a glance, you can see the trend of Facebook likes over that last 90 days, or your mix of website visitors by device in a pie chart - it's all in one place.